Arizona State University and the University of Arizona — infamous rivals on the playing field — joined forces for a special joint conference on virology. 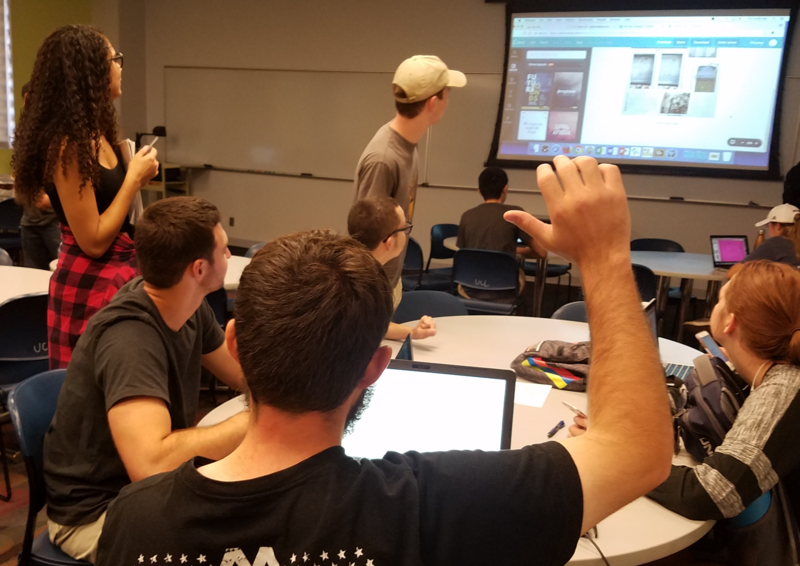 The first-of-its-kind event took place at the Biodesign Institute at ASU on Friday, Nov. 3 and presented a broad range of research concerning one of the more enigmatic entities in the biological world. Professor Weiss was then introduced by her friend, colleague and fellow coronavirus specialist Brenda Hogue, a virologist in Biodesign’s CIVV. In her introduction, Hogue observed the impressive rise in virology research in Arizona, since her arrival at ASU in 2002. She noted Weiss’ contributions to the study of coronaviruses, viral pathogenesis and neurovirology. Weiss’ lab studies the betacoronavirus MHV in order to investigate acute viral encephalitis, demyelinating diseases such as multiple sclerosis and virus-induced hepatitis. As Weiss noted, coronaviruses had been largely ignored in the field of virology until November 2002, when a now-infamous member of the coronaviridae family burst on the scene in China, producing an epidemic of Severe Acute Respiratory Syndrome or SARS. The disease resulted in the deaths of 774 people in 37 countries, with the majority of fatalities occurring in China. Coronaviruses are primarily respiratory pathogens, with members like OC43 and 229E producing common colds, while SARS and the later-identified MERS (for Middle East Respiratory Syndrome) lead to serious, life-threatening illness. The SARS and MERS coronaviruses are newly emerged viruses with fatality rates of ~15 percent and 35 percent, respectively. The MERS virus continues to cause infections and is a global concern. The talk focused on mechanisms used by coronaviruses to outwit host defenses. A key part of the process involves the action of virus-induced phosphodiesterase that acts to disable a key antiviral pathway known as OAS-RNase L.
Next on the program, Koenraad Van Doorslaer of UA and BIO5 turned the discussion to another human pathogen, papillomavirus — more specifically, the Alpha papillomavirus, which is believed to be responsible for virtually all cases of cervical cancer. Curiously, different strains of Alpha papillomavirus produce widely varying levels of pathogenicity, from benign to extremely carcinogenic. Van Doorslaer’s investigations focus on understanding of the underlying molecular mechanisms differentiating oncogenic from nononcogenic viral forms, by applying functional screenings of viruses with an eye toward viral epidemiology and evolutionary history. He emphasizes that the emerging picture of viral oncogenicity is more complex than originally appreciated in the field. Herpes viruses were the subject of Ian Hogue’s talk. Hogue, a recent addition to the faculty of Biodesign’s CIVV, studies neurovirology, the molecular and cell biology of viruses in the nervous system. Specifically, Hogue’s laboratory uses specialized live-cell fluorescence microscopy methods, cryo electron microscopy structural biology methods, and primary neuron cell culture methods to study how alpha herpes viruses interact with the molecular and cell biology of neurons. Herpes viruses constitute a highly diverse family known to affect mammals, birds, reptiles, amphibians, fish, and even oysters, co-evolving with their natural hosts for tens or hundreds of millions of years. The viruses in the alpha herpesvirus sub-family including human Herpes Simplex Virus 1 & 2 (HSV-1 & -2) and Varicella-Zoster Virus (VZV), infect neurons and are among the very few viruses that have evolved to make their living in the mammalian nervous system. The virus can enter a prolonged state of dormancy. Periodically, the HSV-1 virus may be reactivated to resume its normal cycle of gene expression, generating new viruses that travel back along axons to the periphery. Hogue’s lecture described the means by which a particular alpha herpesvirus — PRV (for pseudorabies virus) — might exit from infected cells and spread along circuits of synaptically connected neurons. The research unexpectedly showed that transneuronal virus spread is not correlated with action potential firing—a finding of great importance in understanding alpha herpesviruses’ ability to spread through the nervous system. Sam Campos, an assistant professor of immunology from the University of Arizona's Cancer Center described high-risk human papillomaviruses (HPVs), the most prevalent sexually transmitted infections, responsible for 5 percent of cancers worldwide. These oncogenic viruses establish persistent infections in the mucosal epithelium. Campos' described HPV’s unique entry pathway, which allows the virus to evade important immune pathways. His work is aimed at deepening the understanding of fundamental HPV biology, particularly, the viral mechanisms of immune evasion and persistence. Bert Jacobs, Biodesign virologist and director of ASU’s School of Life Sciences, shared his knowledge of another very large family of important viruses — the poxviruses. Jacobs presented recent research results bearing on vaccinia (VACV), a double-stranded DNA poxvirus that was famously used in a vaccine to successfully eradicate smallpox and has subsequently been explored by Jacobs and others as possible vector for immunization against other viruses. Jacobs’ talk outlined the mechanisms by which poxvirus inhibits necrotic cell death using an innate immune evasion protein, E3. Virus-induced cell death — known as necroptosis — is an important innate defense mechanism used by vertebrates to safeguard cells against infections by poxviruses, as well as herpesviruses and the influenza A virus. The new research presents a plausible mechanism for the inhibition of necroptosis by VACV, resolving the longstanding issue of evasion protein E3’s role in inhibiting the host interferon system and paving the way for improved diagnostics and therapeutics. The next talk moved from viral infection to parasitic infection. Anita Koshy is an assistant professor in the Department of Neurology, as well as in the Department of Immunobiology at UA and a researcher in BIO5. Her research focuses on how the common parasite, Toxoplasma gondii persists in the brain, using a mouse model of parasitic infection. Neurons are the primary target cell for Toxoplasma gondii, a parasite believed to have already infected one third of the world’s population. The parasite acts to alter the immune environment in the brains of those it infects, thereby carving out a hospitable environment. The work points to possible methods to control the immune environment in the brain and intervene in other diseases where inflammation of the brain may be present. Paul Boehmer, interim associate dean for research, chair and professor in the UA College of Medicine, Phoenix, next spoke about genome maintenance in another alpha herpes virus: HSV-1, a large, double-stranded DNA virus that is neurotropic, establishing latent, life-long infections within sensory neurons. In the course of its complex life cycle, HSV-1 executes a complex chain of events aimed at optimizing replication. The talk focused on the means by which the virus maintains its genome and the emergence of the virus from neuronal latency. The symposium concluded with a presentation by John Purdy, from UA’s College of Medicine, immunobiology department and BIO5. Purdy turned attention to another virus causing lifelong infections in over 60 percent of the world’s population, the Human Cytomegalovirus (HCMV), which is a ß–herpesvirus. Purdy outlined the process by which the HCMV pathogen is able to rewire the host cell’s metabolism, turning it to the benefit of the virus. The research has implications for the study of other host-viral interactions. 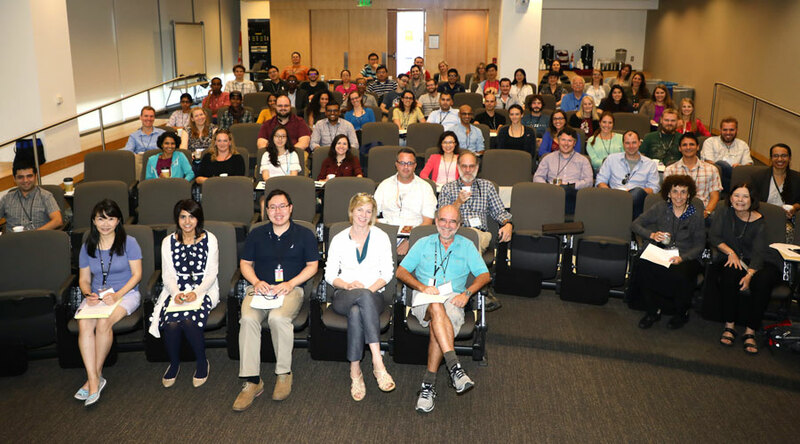 Following the symposium, McFadden shared the hope that the event will become a growing part of the scientific landscape in Arizona, with meetings hosted again at Biodesign as well as in Downtown Phoenix, Tucson, Flagstaff and beyond.